Want Horse Property..Well Here It Is! 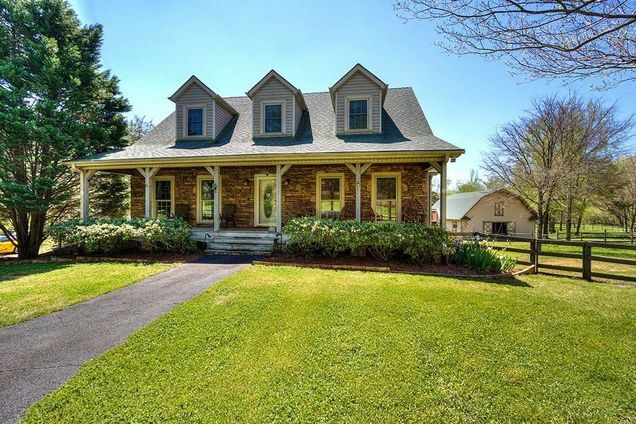 Country style 3BR/3.5BA on 4 ac w/5-Stall Horse Barn! Beautiful Location w/views of Pine Log Mtns. MBR on main~MBA w/Tile Flr,Jetted Tub,Sep Shower,Dbl Vanity~Heart Pine Flrs on Main~2-Story Grt Rm w/Stone-Front FP~Sep Din Rm~Custom Kit cabs,solid surface tops,Dbl oven,d/w,frig,m/w~2 Br's & Ba on upper level~Fin basement w/Fam Rm,Rec Rm & Full Ba~Screen Porch & Huge Deck overlooks cross-fenced pastures~Solar Panels for Hot Water/Power~ Several Storage Bldgs~Huge Covered RV Parking & Too Many Details To List..Hurry, It's A Must See! I-75 North to exit 293, US-411 towards Chatsworth/White. Follow for approximately 6 miles. Turn right on E. Valley Rd., continue to see property on right. Hello, I’m interested in 502 E Valley Road and would like to take a look around. The details on 502 E Valley Road: This house located in GA 30171 is currently for sale for $450,000. 502 E Valley Road is a house with 3 beds and 3.5 baths that has been on Estately for 9 days. This house is in the attendance area of Pine Log Elementary School, Adairsville High School, and Adairsville Middle School.